Zycletron - Interact Event Productions - Corporate Event Planning at Wholesale Prices! 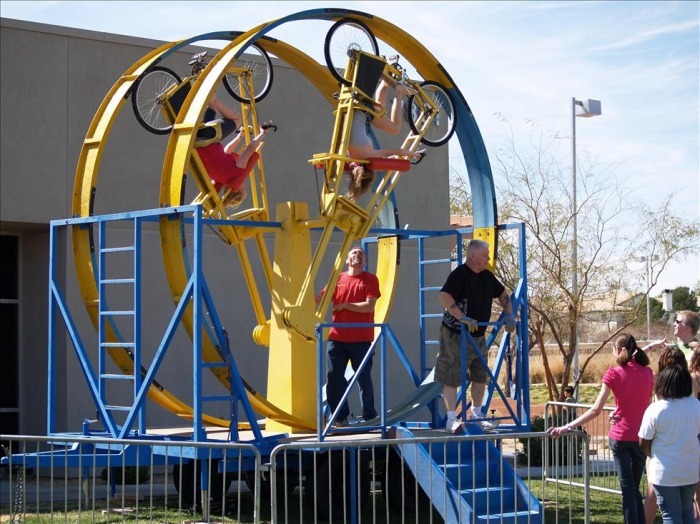 This activity is a great one for older youth and teams as they get to ride a bicycle in a full loop while being harnessed in. This ride will be the hit of your event, Your Birthday Party, School Carnival, Fundraiser, Company Picnic, or Community Outreach.